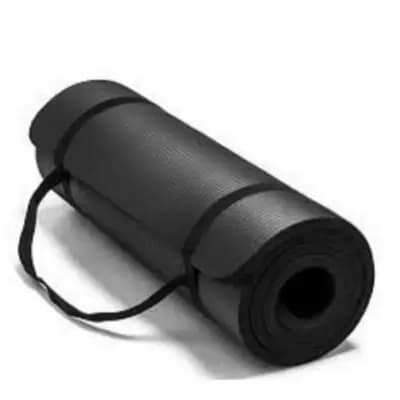 Yoga Mat - Best Premium Thick Exercise mat - Great for aerobic and pilates - use at home and gym - with strap carrier - for man and woman. *Stress relief and peace of mind. A yoga mat is important for safety and improved performance. flake or fade. Eco Safe, Free from Phthalates and Latex. This is a very light weight mat. Because it is made from Nitrile/Buna N Rubber (NBR) foam. to clean, this eco mat is also free of toxic materials and does not release dangerous gases back into the atmosphere. is also a primary consideration for many of its health conscious practitioners. For this reason, it is exciting that Monster Fitness is now offering an eco mat. Whether your mat is brand new, slightly used, or looking a little tattered, proper care can prolong its life even if its new.